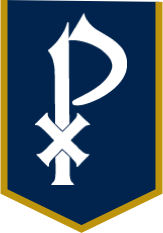 St. Pius X Catholic High School is built on sixty years of philanthropic tradition. From student service hours to parent volunteerism to the financial generosity of our community, each generation has contributed to make St. Pius X the vibrant school it is today. Giving is at the core of this tradition, and it connects Golden Lions everywhere. The Annual Fund delivers funding to support a wide range of experiences at St. Pius X. Through faith-based learning, academic programs, athletics and the fine arts, faculty development, technology upgrades, and the maintenance of our classrooms and beloved campus - your generosity directly benefits every aspect of life at St. Pius X. Funding is occasionally needed for large-scale construction, renovation, or refurbishment of campus facilities; such capital improvements provide new and updated environments for teaching, learning, community life, recreation, and spiritual growth. The St. Pius X Catholic High School Endowment serves as a long-term "savings account" for need-based scholarships, faculty and student enrichment, and unrestricted funds for the growing needs of St. Pius X. Planned giving through the Chi-Rho Society is another way to make a gift to St. Pius X while meeting the long-term needs of your estate planning. GRACE Scholars provides taxpayers with a no-cost way to fund need-based, K-12 Catholic school scholarships in the state of Georgia. We offer a variety of ways to donate to the school, including matching gifts through a number a companies. If you have questions about giving to St. Pius X or would like to reach someone in the Office of Advancement, you can find contact information here.